for faith, family, and society. To build God-fearing families throughout Ashland, Richland, and Wayne Counties by means of the faithful exposition of God's word, loving pastoral care, and personal congregational fellowship. Join us in the worship of the Triune God each Sunday at 10:30 am. We meet at the Mifflin Lions Club, 57 Maine Street, Mifflin, Ohio. Our services are held each Sunday at 10:30 am at the Mifflin Lion's Club Community Center. Did You Receive One of Our Gospel Tracts? If you have come to this site as a result of one of our gospel tracts or CD's, we would love to hear from you and get your testimony. Where did you receive it? How did you (or didn't you) profit from it? 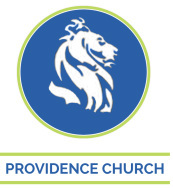 We at Providence church see ourselves as the unworthy recipients of the infinite grace of God. We deserve not the least of His benefits, yet He has bestowed on us the riches of His mercy. Stand for righteousness in the public sphere. Meet Myanmar, a country where more than 90% of the people are not Christian and the average daily income per family is $5. Providence Church supports Mission to Myanmar as they train native pastors, care for orphans, spread God's word, and provide basic medical needs. We encourage you too to consider backing this organization financially and any other way you can.